You can keep your fish! 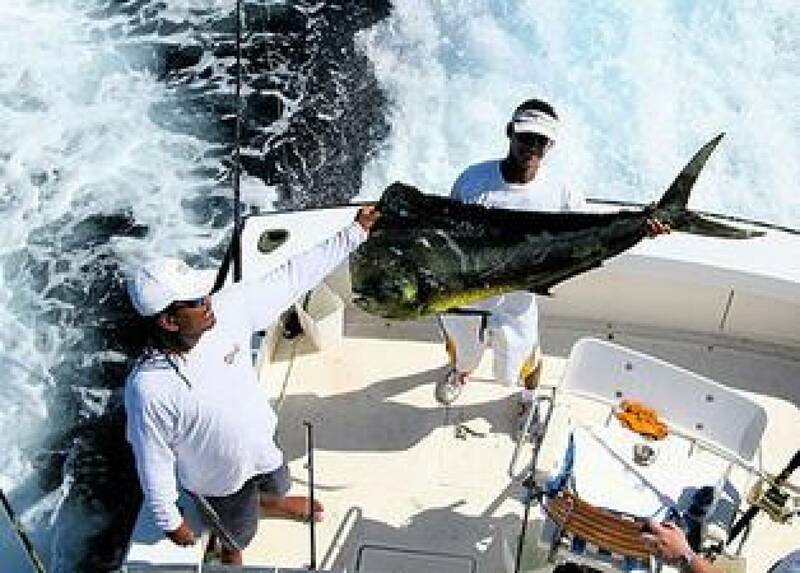 Your most economic choice of fishing boat in Tamarindo. Your local Captain knows all the great places to fish, and often brings back Mahi Mahi, Sailfish, Dorado, Roosterfish, and much more! You can also add snorkeling if you want to get up close and personal with the abundance of sealife the local waters have to offer. Talking Fish is our 38' Topaz Express, powered by twin Detroit turbo diesels. This superbly set up boat is fully equipped with Penn International, Shimano and Accurate tackle, depth sounder and GPS. Comfortably seating 7 people in the shade, it features a roomy cockpit with full size fighting chair and double spreader outriggers. The cabin has a V-berth and a private head with shower. OutCast is our 27' Dusky with fast twin 250 hp Cummins diesels, tower, fighting chair and outriggers. It has a spacious cockpit due to its 11.5' beam and a large shaded seating area. The cabin has a head. The boat is outfitted with GPS, depthsounder, Penn International and Shimano tackle. 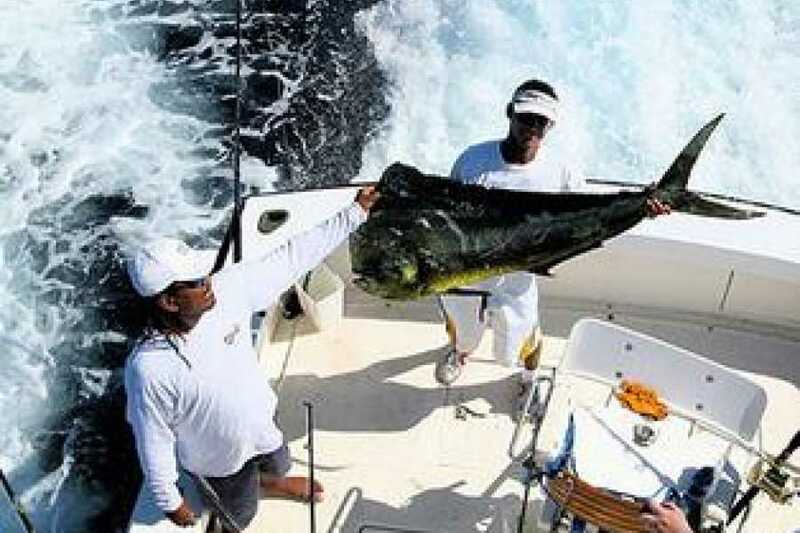 Captain Arturo Rosales speaks English and has been sport fishing these waters since the 1990's. He and his mate Leo make an excellent and efficient team. Salsa is our 27' Escapade with a fast 220 hp Cummins diesel and a walk-around cuddy cabin with a V-berth and head. The cockpit has a comfortable 10' beam and the extra large top provides generous shade. The boat is outfitted with a fighting chair, outriggers, depth sounder, GPS and radio. Penn International and Shimano tackle is provided. Capt. Maikel Rodriguez has worked with us since the late 1990's. He speaks English, is fun to be around and a first class captain.